The ants are out for the summer and making pests of themselves around some homes. Why not take advantage of their presence to do some fun educational projects outside? From ant mazes to taste tests (for the ants, not the kids! ), there are all kinds of fun STEM projects you can design to use some of nature’s hardest workers. And here Victoria was explaining her hypothesis and what the ants actually did. Test natural repellents. 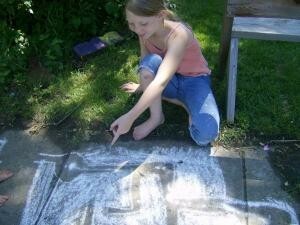 Along with chalk, there are many other substances that are supposed to naturally repel ants. Here’s a list of lots of safe ones (though I don’t recommend using borax around children since it is a poison). Find some ants and put down a variety of these, to see which ones they really seem to avoid. Have the kids guess ahead of time which substances they think will work best and then see how right they are. Have a taste test. Have the kids put out a variety of treats they think the ants will like, and see which ones they seem to favor. Again, have the kids hypothesize ahead of time which foods the ants will prefer. Ask the kids if they think ants are herbivores, carnivores or omnivores, and put out foods to test their opinions. The nice thing about working with ants is that you only need tiny amounts, too! Make a paper trail. Explain to the kids that ants leave a scent trail to communicate with other ants. Once you find a line of ants going in one direction (towards one of your food sources, for instance), put a piece of paper in the path and wait for the ants to establish a trail across it. After they’ve done so, turn the paper and watch what happens. Learn more. There’s lots of good information about ants here. Want some more fun nature study ideas? 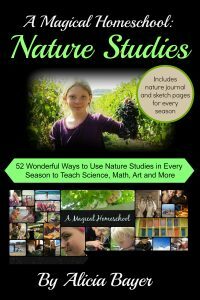 Check out my book, A Magical Homeschool: Nature Studies (52 Wonderful Ways to Use Nature Studies in Every Season to Teach Science, Math, Art and More). 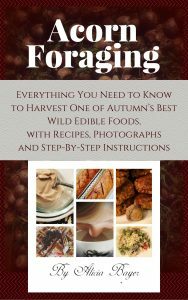 It’s free to read if you subscribe to Kindle Unlimited, and it’s also available on Kindle and in a paperback version with nature journal pages, birding logs and more. The book features 52 nature study projects (like this one! ), broken down so there is one a week for all four seasons. 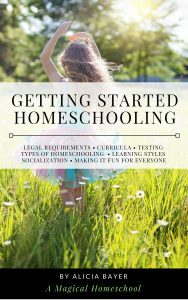 Most of the projects are ones that we’ve done many times in our own homeschool over the years, including lots of our favorites. 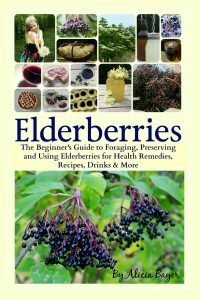 They are designed to work with multiple ages, so families can do the activities together.